One of the most durable fighters ever produced with remarkable longevity, the Z-95 Headhunter was the precursor vessel to the legendary Incom X-Wing fighter. Sturdily constructed with intuitive controls, the Z-95 lasted for decades in various roles throughout the galaxy. In this period the Z-95 is in its prime, a solid and balanced fighter design that would fare well in any role. A later version of the Z-95 became popular with mercenaries, bounty hunters, backwater planetary militias, corporations and crime syndicates during the Rebellion era. 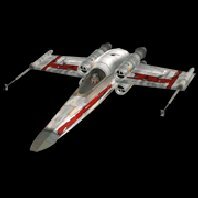 Even the Rebel alliance pressed the Headhunter into service, and it was often found as a training fighter.